Oh, the cute! Oh, the fun! Oh, the laugh-out-louds! Basically, this book is a riot of jolly good times. Audrey may be having a bad past few months or so, what with her anxiety order and all, but that won’t stop her family from being, well… her family. Her older brother, Frank, has managed to find himself addicted to videogames, which Audrey’s mother does not find acceptable. Her dad’s kind of oblivious to it all and her little brother just can’t stop being adorably weird. But once Frank’s friend Linus starts coming around, Audrey may find herself going from rock bottom to being the tip of an arrow that never stops pointing up. In her sort of self-titled book, Audrey is probably portrayed as the most serious person in her family, and that’s saying a lot because she’s quite the comedian herself. And she’s kind of a celebrity, just ask her neighbor Oliver. However, the moments between Frank and his mother are just too hilarious to even compare. Plus, Audrey’s mysterious issue provided way too much false tension for a book that was wrapped up in so many giggles. Of course, Audrey’s newfound tendency to shut the world out is a great representation of just how poorly people look down on others with mental illnesses, but how did Audrey get like this? Readers need to know. 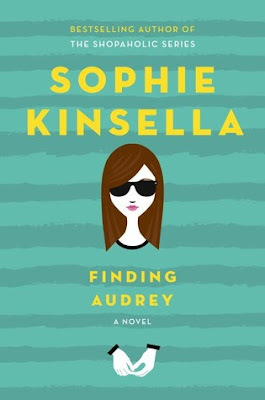 And if we mosey on over to the setting of this story, a reader might be a little baffled by the fact that about 90% of the plot takes place in Audrey’s home. The other 10% takes place at Starbucks. So all you Starbucks lovers, you’ll adore this cute contemporary read. Oh, and you’ll probably want a Caramel Frappuccino before, during, and after. Blend all this with a touch of UK and you get a unique setting within a not-so-unique setting. 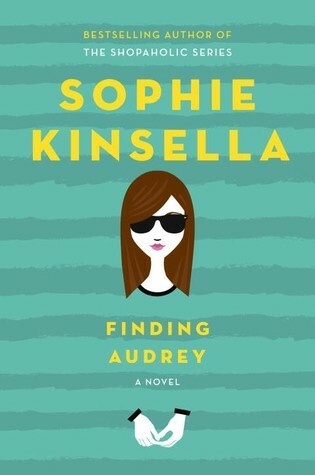 And while the book does a great job telling a witty and charming story that portrays mental illness in a less serious manner, while still maintaining its overall seriousness, be prepared for an ending that may seem to come too soon and that’ll have you wishing you hadn’t found Audrey so the entertainment will never end. **Note: I borrowed a copy of this book from the Book Review Board of Missouri.